Robert Lockhart is a founding member of Lockhart Park, LLP, an insurance defense / civil litigation firm with offices in Scottsdale, Arizona, Sacramento, California and the San Francisco Bay Area, comprised of experienced litigators with long-standing ties to the regional legal markets they serve. Mr. Lockhart is a member of the State Bar of Arizona and the State Bar of California and represents clients across the State of Arizona and throughout Northern and Central California. 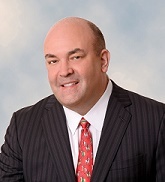 He has over 20 years of experience serving as trial counsel in construction defect, product defect (including class action), bodily injury, transportation (trucking and automobile), insurance (subrogation, insurance coverage, first party property, third party coverage, SIU/fraud, examinations under oath), premises liability, construction site accident and commercial cases in state and federal court and in arbitration. His clients include a variety of Fortune 500 companies as well as smaller regional companies. His transactional practice includes contract drafting / negotiation and evaluation and strategic guidance regarding warranty/customer service programs, insurance policies and Controlled Insurance Programs (CIP). Mr. Lockhart is a member of the Arizona Association of Defense Counsel, Arizona Insurance Claims Association, Claims and Litigation Management Alliance and the Bar Associations of Maricopa County, Sacramento County and New York City. Mr. Lockhart attended the University of California, Berkeley (BA) and Santa Clara University (JD and MBA).